Supports ALL NBN Deployment Types and ADSL. True all in one solution. Get ready to upgrade to the NBN with this router. 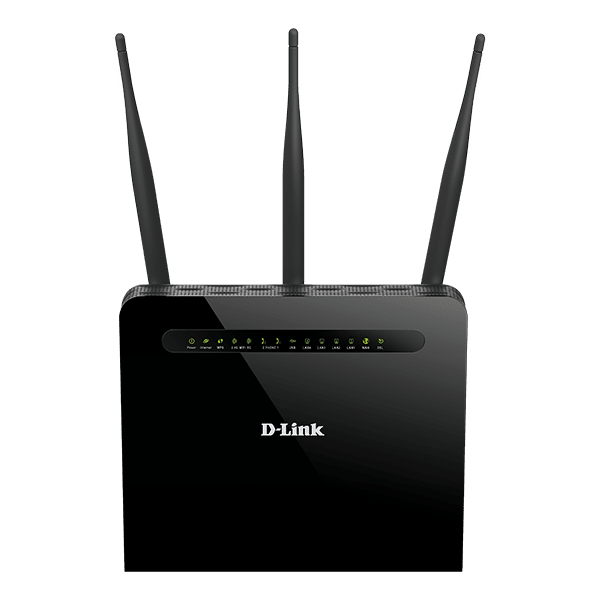 The DVA-2800 – Dual Band Wireless AC1600 Gigabit ADSL2+ / VDSL2 Modem Router with VoIP is a true all-in-one solution. The ADSL/VDSL modem is compatible with all ADSL, VDSL and NBN connections in Australia and New Zealand and the built-in phone ports allow you to make VoIP phone calls. This device is a highly integrated router with everything your home or small business needs for high-speed Internet access. Today’s households are connecting more devices to the Internet than ever before – with more and more iPhones, Androids, tablets, and laptops laying around in any given home, it’s important that each device gets the speed and coverage it deserves. Delivering Wi-Fi AC1600 dual band speeds to your home network, the DVA-2800 is the perfect solution for those looking to enjoy HD video streams, fast file transfers, and lag-free video chatting – all with less wireless interference for maximum throughput. The DVA-2800 – Dual Band Wireless AC1600 Gigabit ADSL2+/VDSL2 Modem Router with VoIP provides excellent wireless speed – up to 1600Mbps – for flawless video streaming to multiple devices. NBN Ready Supports VLAN Tagging. Use our VoIP to make unlimited mobile and land line calls to Australian numbers.